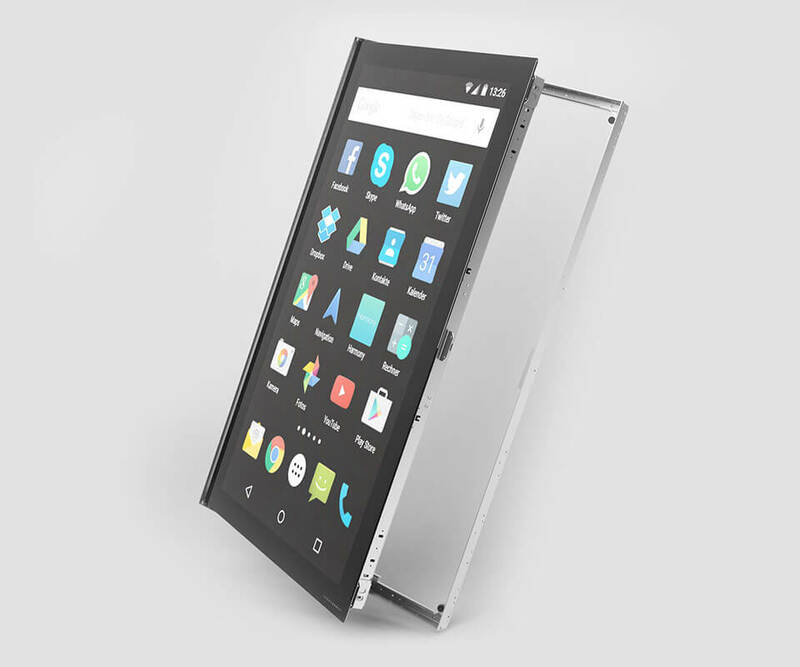 Weather you need to protect your precious devices on the road, or you want to even further enhance the usability. Our line of field-tested and taylor-made accessories will help you make the most of your purchase. Unsurprisingly, our taylor-made flightcases are the most sought after TableConnect accessories. The TCF55 flightcase set consists of two pieces. 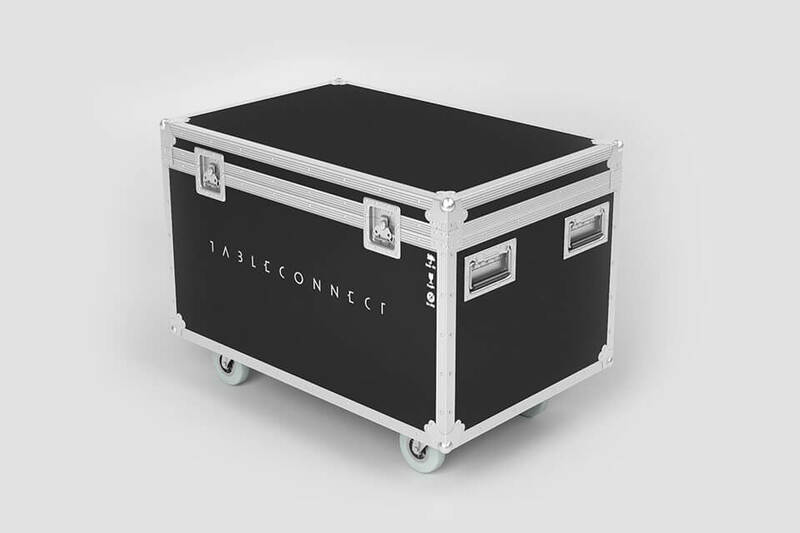 The larger flightcase houses the TableConnect body, whereas the smaller flightcase keeps both TableConnect legs safe. We recommend theses to every client planning to use their TableConnect in changing locations with frequent transports or simply for safe storage when not in use. 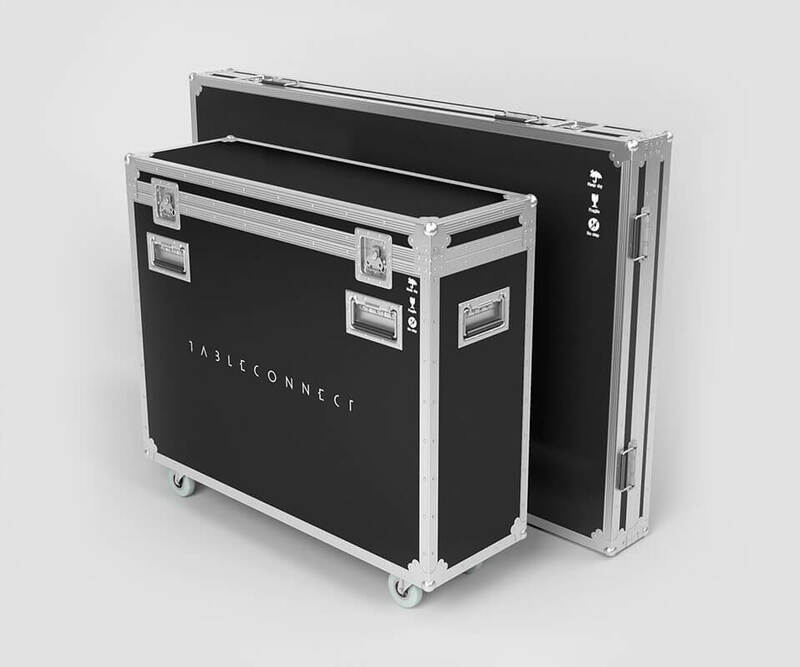 The 32” TableConnect needs no set of flightcases, but just one flightcase. There is also no need to disassemble the TableConnect. It just fits into the flightcase like a glove without any extra work. Quicktip: for portrait setup of your 32” TableConnect, just drape some textile around the flightcase and you got the perfect height pedestal. In many instances you want to setup your TableConnect in portrait mode. 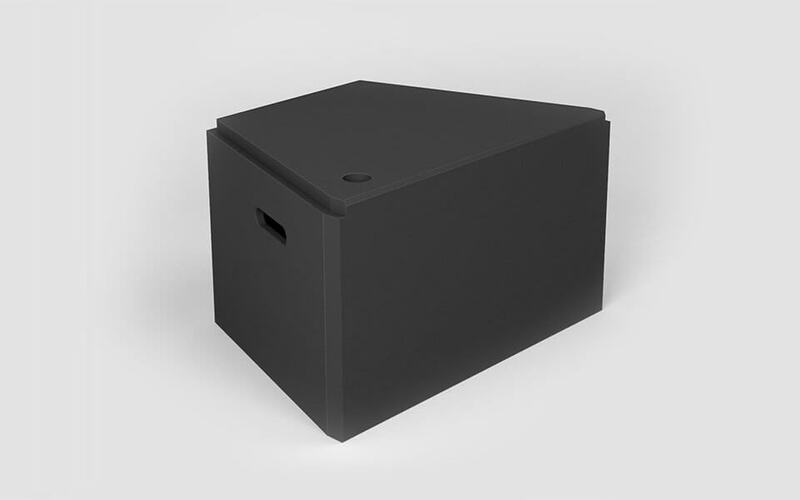 While any pedestal or sturdy surface at a height of ~ 70cm will do, we recommend this pedestal to everybody who is not willing to compromise on design. The TCP55 pedestal is taylor-made to fit your 55” TableConnect. Sleek design, ultra sturdy and intelligent cut outs for easy handling and power cable routing. This accessory was specifically developed for installation situations where you cannot access the backside of your structure. In such cases this door frame allows easy installation and access to all maintenance areas of your TableConnect Module.